TV Upfronts begin next week -that time of year when our networks reveal their highlights for 2017. Every year things differ a little bit from the year before. Events are largely directed to advertisers. Here’s an outline of what each has in store and when you can expect to hear about new titles. It’s a busy time of year for Seven with Telethon, Live X Factor shows, Melbourne Cup Carnival but Seven is first cab off the rank this year. After a winning year, Seven’s “Newfronts 2017” take place on Wednesday afternoon October 26 in Sydney with CEO Tim Worner and Chief Revenue Officer Kurt Burnette. This will be simulcast into Melbourne and Brisbane. TEN’s Upfronts are a breakfast function on Friday November 4 in Sydney. TEN has had a number of hits this year which are expected to be renewed. Another event takes place in Melbourne on the evening of Monday November 7 with other cities to follow. After a challenging year, Nine is rolling out the big guns for a half day event on Tuesday November 8 at The Star in Sydney. With both international and local names, CEO Hugh Marks will lead a presentation on content, sport, entertainment, news. Nine hasn’t had a formal Upfronts for three years, but this year is putting the ‘show’ back into showbiz. Other cities will follow including Melbourne on November 16. SBS has a Sydney lunchtime event on Tuesday November 15 (the same day Screen Forever conference begins in Melbourne). This is also the day it will flick the switch for SBS VICELAND, similar to its event last year timed with SBS Food Network. ABC is tightening the purse strings and not having an Upfronts this year (it did in 2015, but not in 2014). However it will reveal its highlights on Wednesday November 2nd with an online site where viewers can watch videos and read about new shows. Foxtel is part of the MCN Homefronts and will have a range of announcements on 2017 over the Upfront season. I care less and less about upfronts each year as every year there are more and more titles and promises that don’t happen – it’s a bit like an election campaign. I am hoping one of Tens announcements will be a new multi channel. My desire is for a crime channel which l feel Ten will do very well with. Any new channel needs to have a focus and a theme in my view. They could run repeats of NCIS, Law & Order, Criminal Intent, SVU, etc. Plus crime-drama movies or new crims shows during prime time. I doubt that will be their new channel though, could be. It would be great if they (or one of the networks) had a crime themed channel. Could run shows like NCIS, but also investigations and docos. Surely TEN could pick up some content from Foxtel’s TV Hits / CI. Would much prefer Ten to sort out the channels they have rather than adding another one to dilute their brand further. Bingo, that should be high on their to-do list instead of a crime channel, endless repeats of old sitcoms and movies on ELEVEN need to be looked at and replaced. David, what purpose does the ABC upfront serve, considering that advertising is not part of their charter? 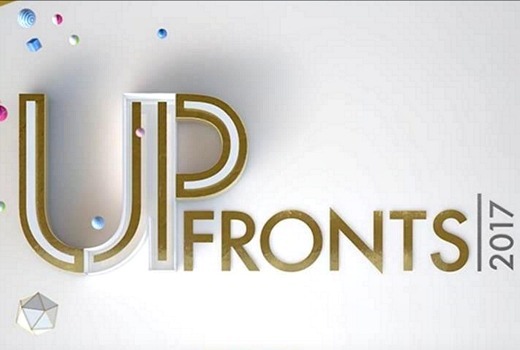 ABC hasn’t usually referred to it as Upfronts, but they still spruik their upcoming slate. Sounds like networks are putting in more effort. David, do you attend each and every one of these junkets to bring us the news? It varies from year to year, but yes busy times ahead. Especially difficult to keep the site running when there are half and full days offline! First world problems?